Note: ExpressVPN does not currently provide official support for this setup. 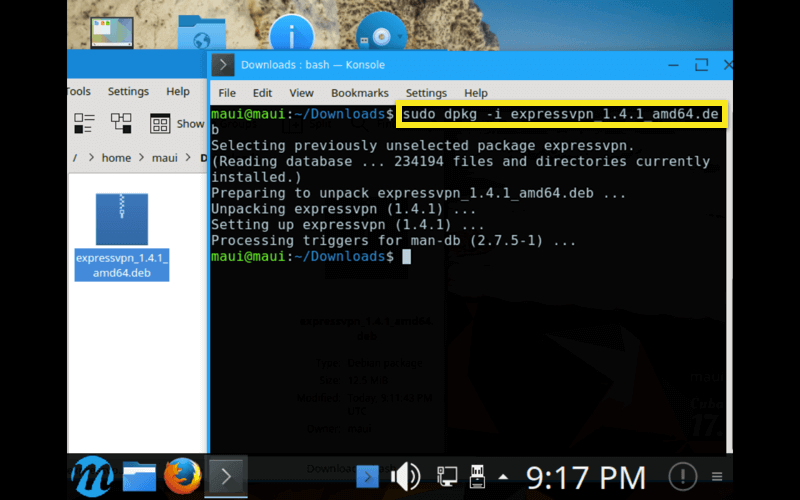 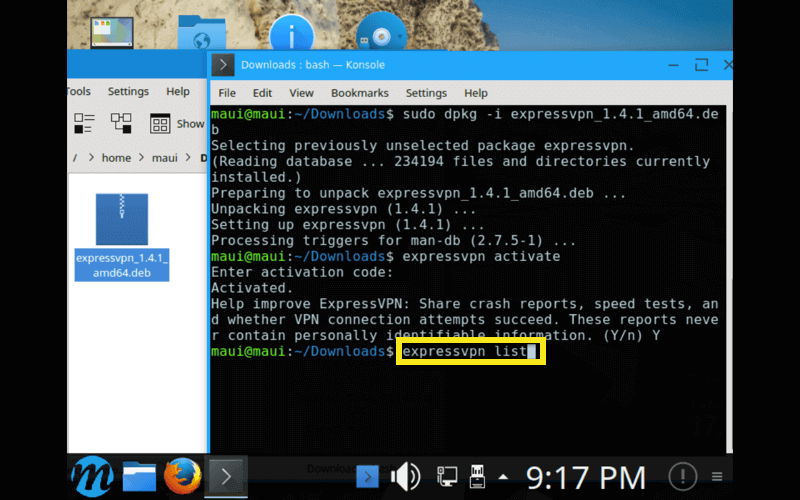 As a result, you may encounter bugs while using ExpressVPN on Maui Linux. 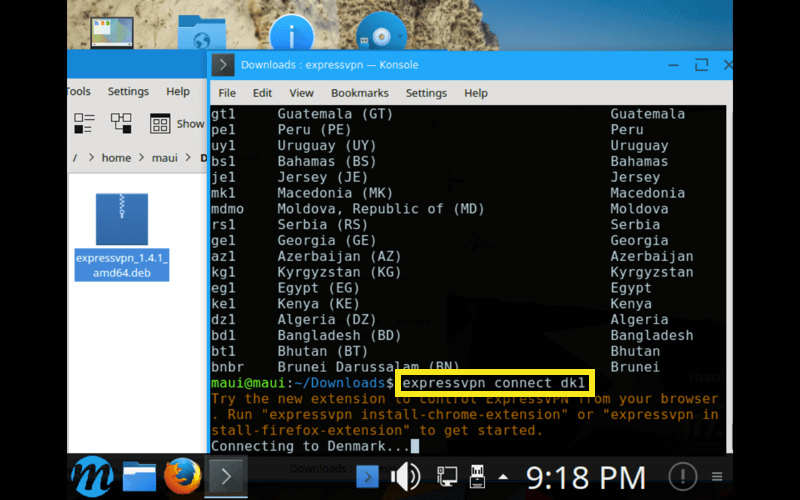 Open Konsole and navigate to where you downloaded the ExpressVPN app (e.g. 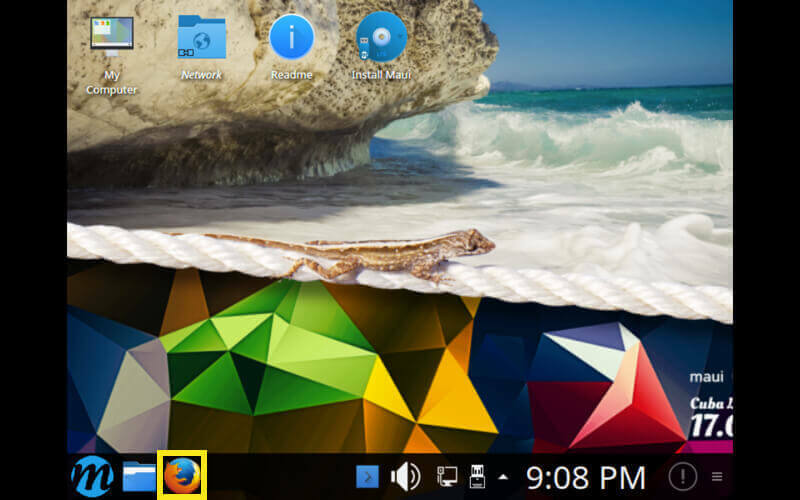 cd ~/Downloads/).